It has to be the most photographed icon of San Francisco and you have to get close to appreciate just how big it is. You can walk over the bridge, although walking part of the way and turning back might be a better option. 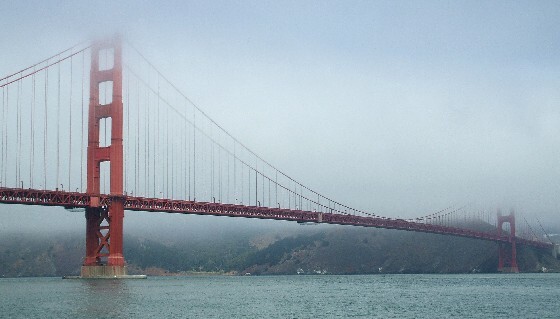 Many tours of San Francisco take in the bridge though, including bay cruises so you can see it from below. The bridge is quite far away from the city centre, so you’ll need to take a bus or taxi to get there. If you have a car, parking at the bridge is limited. This is an extract from our free San Francisco City Guide. On the south side of the bridge, there are 81 parking spaces at a special visitors area which includes a cafe, visitors centre and several scenic viewpoints of the bridge. Parking is $0.25 per 15 minutes (2011 prices). On the north side of the bridge parking is free but the only amenities on this side are the restrooms. 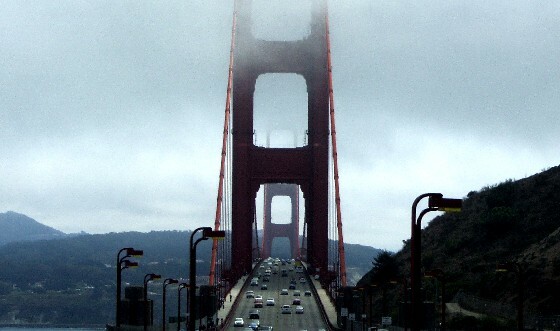 Bear in mind that if you are driving south from Marin County and you want to park on the north east side, you will have to cross the bridge, pay the toll and double back. To be honest, we much preferred the view on the south side although it’s pretty normal to find the bridge shrouded in cloud as in our pictures. You can also reach the southern end of the Golden Gate Bridge from San Francisco on Golden Gate Transit Routes 10, 70, 80 or 101. 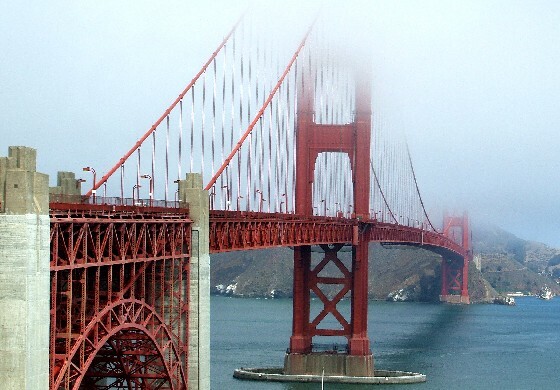 If you decide to take a guided tour which calls in at the Golden Gate Bridge, the combined Alcatraz & San Francisco City Tour consistently gets great reviews from other travellers.